Once we find a cure for celiac disease, it won’t be due to the work of one individual. It will be because we are all working together to further the mission of Celiac Disease Foundation. We are proud of this work we do. Marilyn G. Geller is Chief Executive Officer for Celiac Disease Foundation. For 14 years, Marilyn’s son suffered with debilitating symptoms despite seeking help from innumerable health professionals. A chance blood draw revealed celiac disease was the cause of his suffering. From that day forward, Marilyn, a longtime healthcare executive, became active in celiac disease advocacy, joining the CDF National Board of Directors. In 2012, Marilyn succeeded Founder Elaine Monarch as Chief Executive Officer. 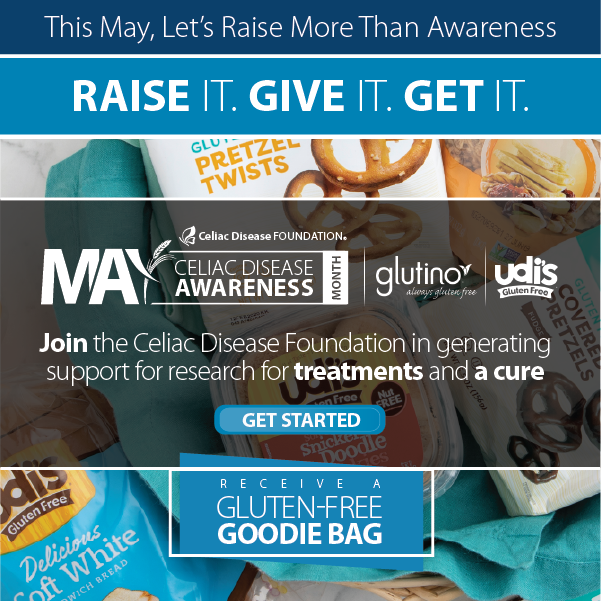 Since its founding in 1990, Celiac Disease Foundation has funded and executed national initiatives in three principal areas to bring an end to the suffering caused by celiac disease: medical research, patient and healthcare provider education, and public policy advocacy. Under Marilyn’s guidance, CDF launched the nation’s only celiac disease patient registry, iCureCeliac, and has developed multiple online tools to empower millions of patients worldwide to seek diagnosis and treatment. 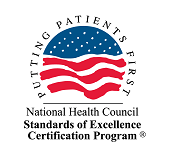 Clinician education tools include the NASPGHAN Clinical Guide for Pediatric Celiac Disease and the Children’s National Psychological Health Training Program. CDF has been instrumental in shaping the FDA gluten-free labeling rules, and continues to advocate for patient protections for those with chronic disease. In 2014 Marilyn hosted the autoimmune disease roundtable at the Partnering for Cures conference. In 2015 Marilyn was an inaugural winner of the Alpha Chi Omega Real. Strong. Women. of Distinction Award. Because of her in-depth knowledge of the issues surrounding celiac disease, Marilyn has become a primary spokesperson on the gluten-free labeling issue. She has been featured nationally on the Hallmark Channel’s Home and Family Show, internationally on television networks in Europe and the Middle East, and in numerous newspapers and magazines, including USA Today, National Geographic and Gluten-Free Living. Marilyn brings more than 20 years of management experience in healthcare and IT operations. A former Los Angeles County and UCLA hospital administrator and RAND Corporation researcher, she is a co-founder of Medversant Technologies, where she was responsible for the company’s strategic direction and is the lead inventor of the company’s patented technologies. Marilyn’s nonprofit experience includes board positions with the Olive View-UCLA Foundation, UCLA Health Services Alumni Association and Alpha Chi Omega. Becoming CDF’s Chief Executive Officer marks a return to her roots in public health advocacy. 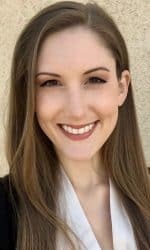 Selected as a Los Angeles County Department of Health Services Fellow, Marilyn received her MSPH degree from the UCLA School of Public Health and her undergraduate degree from UCLA. Deborah is Chief Development Officer for the Celiac Disease Foundation. Deborah provides senior leadership and strategic direction for the Foundation’s corporate sponsorship, fundraising, and special events, as well as for online and offline marketing and branding efforts. Previously serving as the Foundation’s Director of Marketing, Deborah brings a diverse background in advertising, marketing, and event planning. During her tenure as Director of Marketing, revenues across key business lines increased by 600% through targeted program expansion and intensive business development. Deborah’s strategies have also helped to raise the profile of the organization from a regional support group to a national disease advocacy organization. For example, unique visitor traffic to celiac.org, the Foundation’s primary communication platform, has increased from 300,000 annually to more than 7,000,000. In support of the Foundation’s mission, Deborah has identified and cultivated strategic relationships in the biopharma, healthcare, food manufacturing, and food service industries. 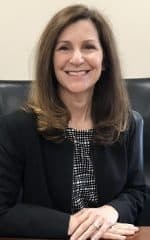 She is also responsible for the planning and management of the Celiac Disease Foundation National Education Conference & Gluten-Free EXPO, which draws national attendance and features lectures from leading medical experts in celiac disease, in addition to a vast array of gluten-free companies. Deborah plays a critical role in securing the necessary funding to support the Foundation’s goals to accelerate diagnosis, treatments, and a cure for celiac disease. Lisa Shaevitz is the Director of Finance at Celiac Disease Foundation. She is responsible for all accounting and financial reports, expenses, and receivables. A strategic thinker and effective leader, she helps lead Celiac Disease Foundation to profitability and long-term success with their mission. Lisa graduated from UCLA with a Bachelor’s Degree, as well as an MBA from USC. Justin and his TeamLogic IT staff provide the Celiac Disease Foundation with in-depth experience and insight in IT strategy development and management. Passionate about non-profits, TeamLogic IT brings clarity, simplicity and coherent IT strategy and solutions to CDF, lowering overall operational costs and optimizing operational efficiency. Justin holds a Masters Degree in Electrical and Computer Engineering from the University of California, Irvine, specializing in distributed and fault tolerant computing. TeamLogic IT is a nationwide network of computer consultation and managed services businesses providing outsourced IT services to thousands of businesses throughout the United States. The company addresses the needs of most computer networks and systems and strives to become the “IT Partner” for small and medium-sized business customers. Julia McBeth is the Research and Advocacy Manager for the Celiac Disease Foundation. She manages the Foundation’s iCureCeliac® patient registry and Patient Advocate Program, in addition to developing research and advocacy content for various communication vehicles. She works with the Foundation’s Medical Advisory Board and Research Committee to identify, prepare, and manage research grant and project opportunities based upon community needs. Julia earned her bachelor’s degree in Psychology at the University of Southern California. Her background is in research in the Preventive Medicine Department of the Keck School of Medicine of USC, where she studied the intersection of health, emotions, and addiction. Her own journey with chronic illness motivated her to get involved in research and advocacy to help others navigate similar difficult health conditions. She hopes to contribute to improving the quality of life for all those affected by celiac disease. Laura Boone is the Development Manager for the Celiac Disease Foundation. As the Team Gluten-Free Director, she manages CDF fundraising events and the Student Ambassador Program. 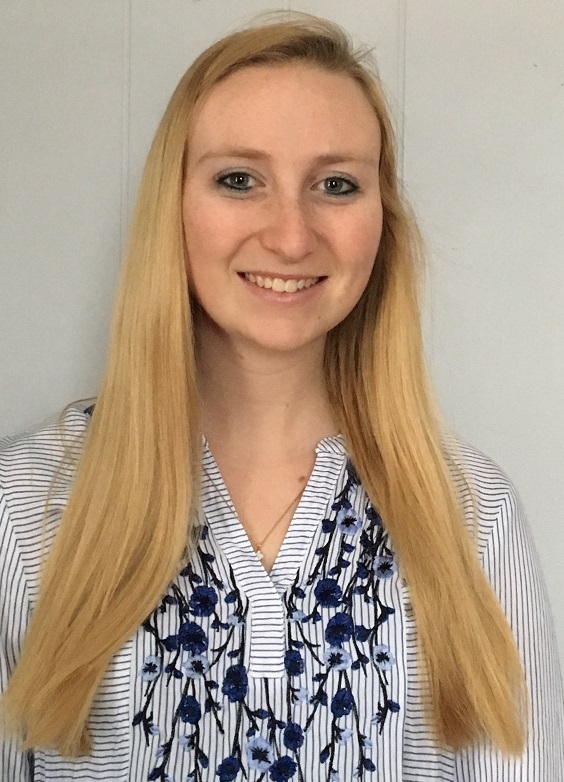 Through social media channels, Laura ensures the celiac disease community is consistently informed about CDF’s research, education, and advocacy initiatives. She also cultivates relationships with food manufacturers and helps manage the annual CDF Gluten-Free EXPO. After her diagnosis in 2011, Laura became an active leader for public health equity. She earned her Master’s in Health and Human Performance and taught Health Education at Middle Tennessee State University. She is excited to join the CDF team in empowering the lives of those with celiac disease. 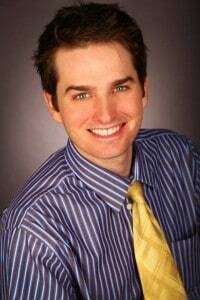 Matthew Clark is a Project Manager at Celiac Disease Foundation. He is responsible for overseeing the Gluten-Free Marketplace and its mobile app. His key role is selling and promoting the Marketplace while offering project support to other CDF projects and programs. Matthew has a background in business administration, creative writing, social media, I.T., and other business oriented skills and initiatives. He is passionate about helping others and connecting people with the gluten-free and allergy-free products they need. 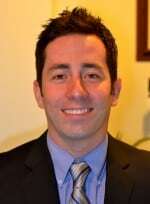 Craig Pinto is the New York Area Development Officer at the Celiac Disease Foundation. Before CDF he earned his Masters Degree in Nonprofit Management at NYU, and ran the National Celiac Disease Society, (formerly the Kicking 4 Celiac Foundation), which worked to provide education and awareness programs for the celiac disease community. He was a former college and professional football player, and is a three-time Guinness World Record holder for most forty-yard field goals kicked in one minute (11), 12 hours (717), and 24 hours (1,000). As a person with both Crohns’s disease and celiac disease, Craig is dedicated to helping those with celiac disease thrive to live and feel their best. Ben Nicholson is an independent policy consultant based in Washington, DC, providing legislative, policy, and advocacy services to the Celiac Disease Foundation. He was diagnosed with celiac disease in 2015, and, like many of those who suffer with this disease, is determined to contribute to efforts to find a cure. Ben has worked in Washington, DC for the past 18 years, including twelve years as a professional staff member on the House Appropriations Committee, where he held several roles of increasing responsibility. He most recently served as Staff Director of the Subcommittee on Homeland Security Appropriations. In this capacity, he was responsible for the oversight of more than $45 billion in federal spending on the Department of Homeland Security. Prior to serving as the Subcommittee Staff Director, Ben served as a professional staff member on the Committee on Appropriations, overseeing a variety of security and defense agencies. Ben also served for almost 10 years in the U.S. Coast Guard as a Commissioned Officer, including qualifications as both a Deck Watch Office and Engineer. Ben is a graduate of University of Michigan where he received his MS Naval Architecture & Marine Engineering and MS in Resource Policy. He also received a BS with high honors in Naval Architecture & Marine Engineering at the United States Coast Guard Academy. He serves on the board of Government Affairs Institute at McCourt School of Public Policy at Georgetown University and as practitioner and guest lecturer for the Department of Humanities at United States Coast Guard Academy. Additionally, Ben is currently the Vice President for Government Affairs of L3 Technologies, a global aerospace and national security company with 2017 sales of $9.6 billion that employs approximately 31,000 people worldwide. In this position, he is responsible for leading all aspects of the company’s engagement with senior government officials and Members of Congress. 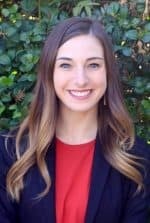 Marianne Brooks is the Volunteer Coordinator for the CDF National Education Conference and Gluten-Free EXPO held each spring in Los Angeles, CA. Marianne was diagnosed with celiac disease in 2006 and has been involved in CDF activities since that time. She currently owns a small business in the South Bay, CA, and prior to this, spent 28 years in a Global Telecommunications company as the Director of Service Delivery. Marianne is very involved in her community, serving as an emergency room volunteer at a local medical center, and a volunteer at a Feed the Needy program. Marianne’s professional experience combined with her passion for celiac awareness and serving the community brought her to her role at CDF. To be a National Education Conference Volunteer, email Marianne at info@celiac.org. Leaders, Advisors & Staff Meet the leaders and staff of the Celiac Disease Foundation. Mission & Purpose Find out what drives us. Foundation Press Read our latest news.